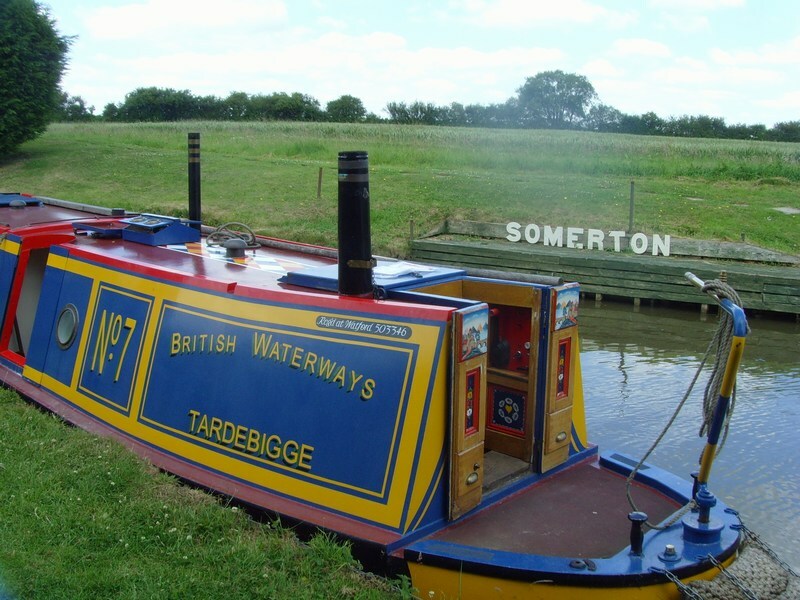 After months of preparation, the Tardebigge centenary tour finally got underway just before midday today. Quite a slow start up through the Heyfords but after getting away from slow boats ahead of us near Somerton Deep we made good progress. We didn’t quite make it to Cropredy but have made it to Slat Mill Lock and are moored up just before bridge 156. Luke has had his first go on the tiller and has so far avoided any major incidents. The wildlife count is high – kite, kingfisher, heron, and plenty of ants on board. A spider seems to have already taken up residence on the bike. Today’s menus: lunch – tuna salad, dinner – gammon steak in cider with mushrooms, Sichuan pepper and herby mustard sauce and fresh vegetables. 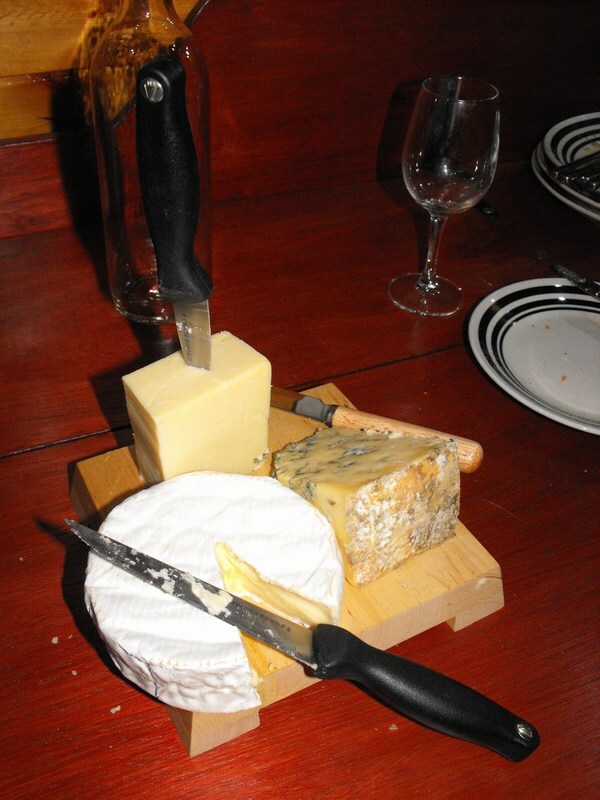 Cheese followed. 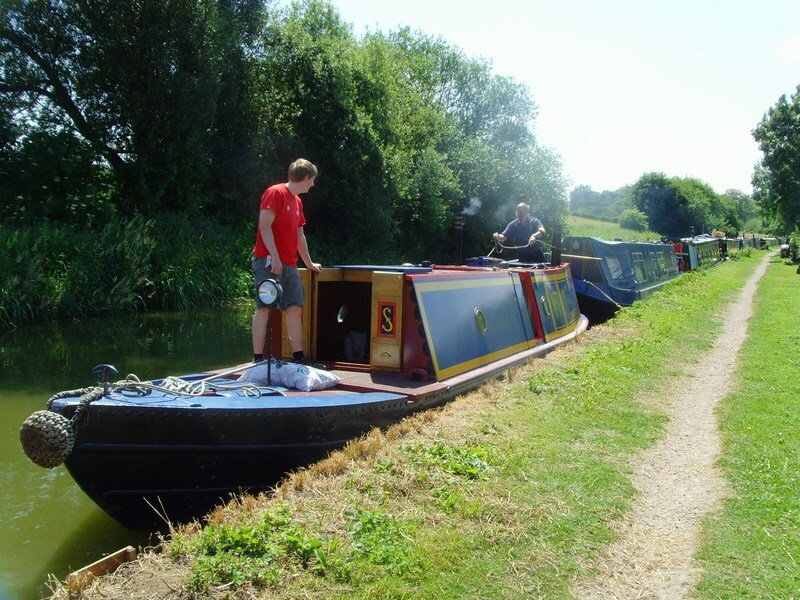 Early start tomorrow to stock up at Cropredy then on to the Oxford Summit aiming for Napton bottom lock or Braunston. 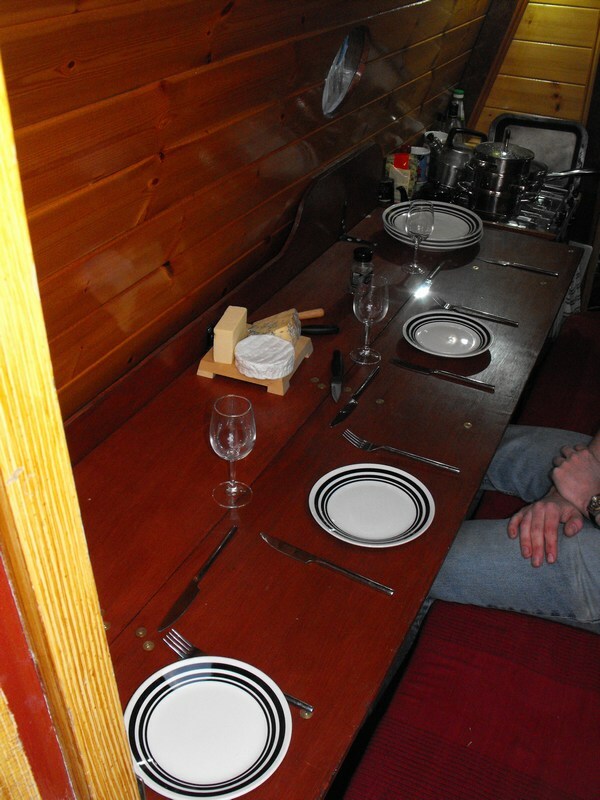 This entry was posted on Wednesday 24 June, 2009 at 23:03 and is filed under 2009 voyage. You can follow any responses to this entry through the RSS 2.0 feed. You can leave a response, or trackback from your own site.